We gotta be honest with you, parent: While Halloween is definitely our favorite holiday, there are also seven days of summer each year that have us swimming through a sea of excitement: Shark Week! We love learning more about these prehistoric predators who rule the sea! For instance, did you know that there are over 400 different species of sharks? Did you also know that, until the 16th century, sharks were known to seafarers are “sea dogs”? Did you also know that scientists can tell the age of a shark by counting the rings on its vertebrae (similar to how they can tell how old a tree is by counting its rings!)? How about that new research that shows that sharks might be colorblind? And that though the movie “Jaws” would make you think otherwise, did you know that people pose more of a threat to Great Whites than they pose to people?In fact, you are 1,000 times more likely to drown at sea than to be attacked by a shark! Knowing that makes it a lot easier to love the coolest dudes of the seas! 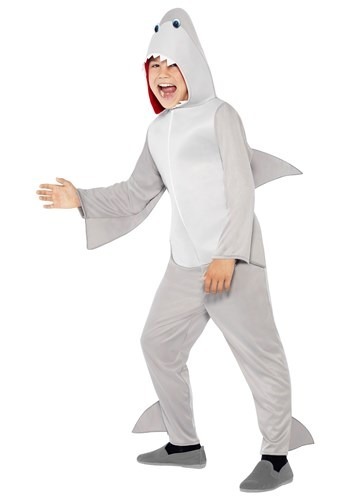 If your kid is as enthusiastically obsessed with sharks as we are, then this Kids Shark Costume is going to make them flip their gills! Made of 100% polyester, it’s got a center-front zipper (for easy quick-change through land and sea), and sewn-on foam fins and felt teeth. 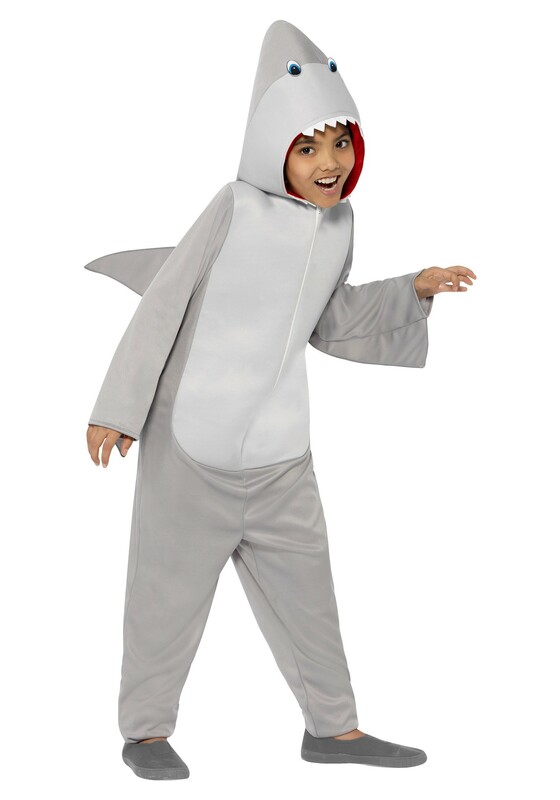 In this Kids Shark Costume, it’ll be Shark Week at your house all year long!